Discussion in 'Other games and gaming' started by Tass, Dec 4, 2014. P.S. : There are currently 45 games in Humble Trove, you can get them and 6-10 Montly Bundle games in addition for ~12 bucks total, and if you follow the process explained in post #1 you can get 10% off and even 1-3 more games. So 52-58 games in total for ~10 bucks total. It's really a crazy bargain. Torchlight I and II alone are already totally worth it. 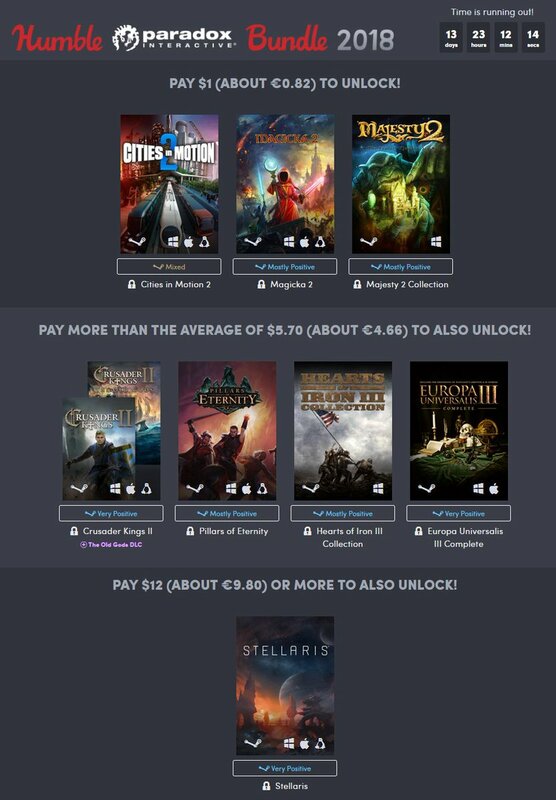 Stellaris or Pillars of Eternity alone would already be a great bargain for that price.